The magazine of the PCTA, the Pacific Crest Trail Communicator is a full-color publication containing news, features, volunteer opportunities, columns about trail lore and more. 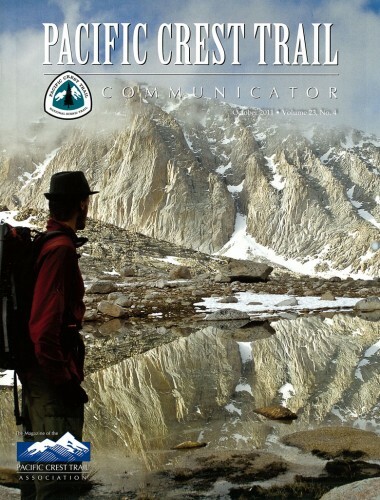 It is published four times a year and is mailed free of charge to PCTA members. A fifth ‘issue’, the cherished PCTA calendar is mailed in October. If you have questions about receiving your Communicator magazine, please contact Chris Mejia, membership assistant at (916) 285-1843 or [email protected]. He’s happy to sort out address changes and the like. Our members are encouraged to submit PCT-related letters, news, features, and photos to be considered for publication. Email Managing Editor Mark Larabee at [email protected] or call him at 503-880-5987 with your ideas. We love making the magazine and we hope that you like it. We occasionally post a selection of articles from the magazine for you to read online. Here they are. Enjoy!